What I started with was lots of shots that looked liked these first three images – i.e not much of anything. 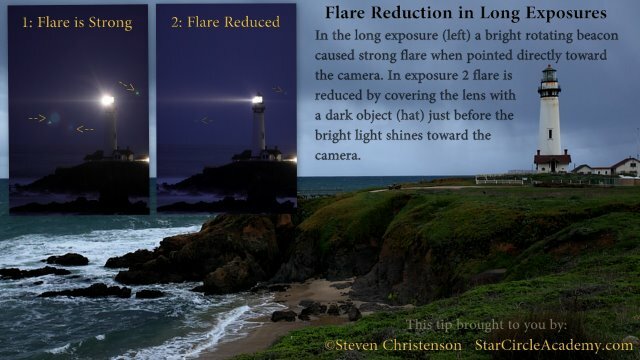 As I went along I ended up combining the “specks” into the image at the lower left. 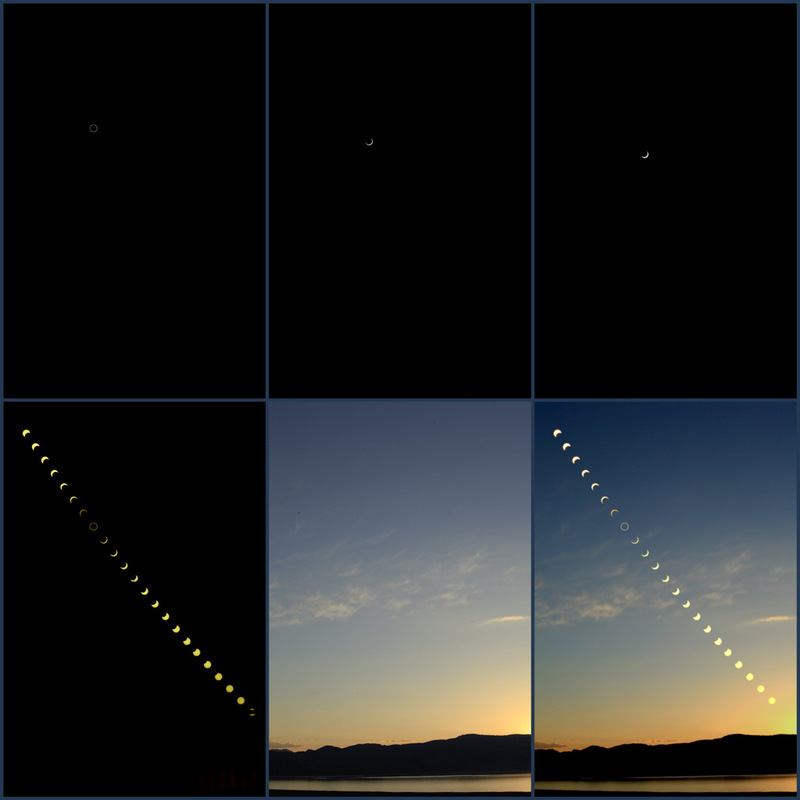 I combined the sequence with a shot taken just after sunset (middle bottom) and the result is as shown in the lower right. We will soon provide the explanation of how to create the result. First we would like to give some clues about how the shot was planned – because, as it turns out, planning is an important part of all sequences like this one! 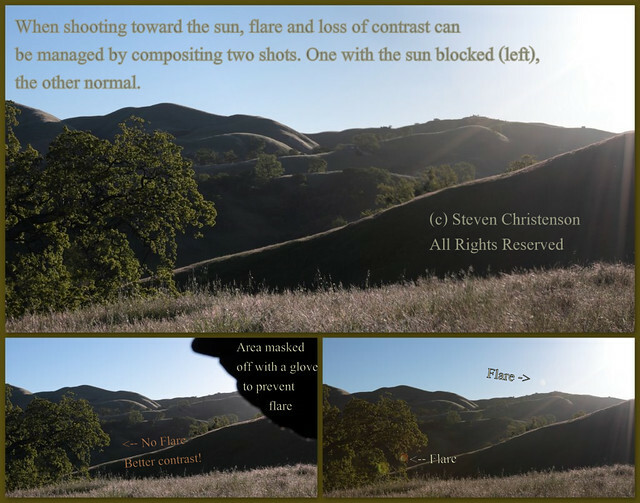 On a full frame camera, the 50 mm lens comes out to 39 x 27 degrees. which would just fit the whole sequence. I decided to use my 70mm lens – because I already had a solar filter for it. My plan was to wait until I could catch the sun in the upper left of the frame and the foreground I wanted at the bottom. When the sun arrived, I slapped on the solar filter and started automatic 30 second intervals between exposures. Perhaps my first attempt was not so well planned. 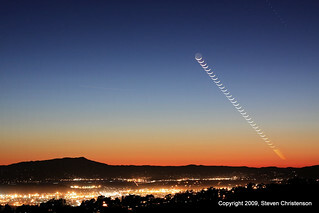 I was too interested in keeping Mt Tamalpais in the picture and ALMOST didn’t get the whole moonset. I know better now! Over three years ago I described how I created the image. The technique is an extension of my previously described Easy HDR method. In Part 2 of this article, we will show you a few helpful little addenda to make the process easier to manage. We will reveal a Photoshop-only method to approach the problem, AND for good measure a nifty tool to make it easy as pie. 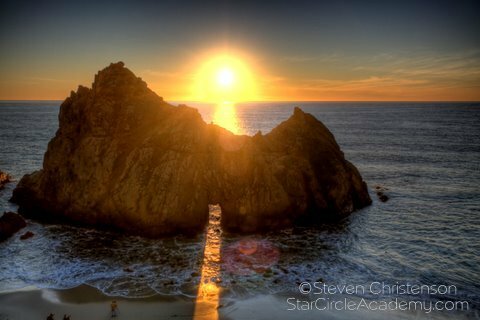 Meanwhile if you are intrigued by the moon, you might want to join us from WHEREVER you are on one of our fun, informative, and oh so reasonably priced Moonatic Webinars. Or maybe the next Photo Manipulation webinar is just your size. 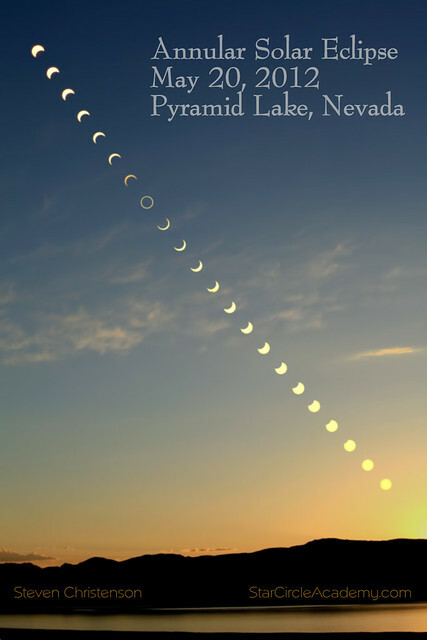 This entry was posted in Creativity, Stacking, Workshop and tagged Annular Eclipse, blending, calculation, compositing, eclipse, photoshop tips, shot planning, stacking on May 21, 2012 by Steven Christenson.